Beautiful home nestled on 1.64 M/L wooded acres. Cozy cul-de-sac awaits you to see this wonderful home. 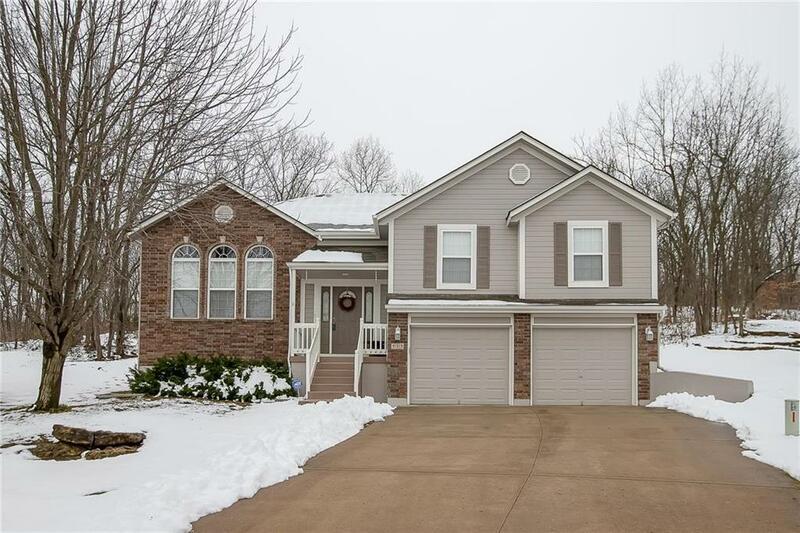 Large open floor plan with a fireplace, windows and vaulted ceiling in the great room, the kitchen has wood floors, island and a walk in pantry! Family room âman caveâ , laundry room, full bath, fourth and bedroom in the lower level. The master suite has a spa like bath with a whirl pool tub, shower & walk in closet. New carpet installed Oct 2016, exterior paint March 2017, appliances Aug. 2017. So much to see! Directions: I 70 to Buckner Tarsney road, go south, right on AA, left on Sni-A-Bar. Right on Whitestone. Right on Hillsboro, left on Foot Holland the home is at the end of the Cul-De-Sac.